President Barack Obama's pick for the Justice Department's national security prosecutor is expected to be among several nominations to move in the coming weeks as Senate Democrats start wading through the presidential appointments backlog built up amid partisan fights. John Carlin's nomination to head the Justice national security division had come under fire in recent days after some critics groused in a Foreign Policy magazine article that Attorney General Eric Holder's pick, his former aide Amy Jeffress, was passed over by the White House. Jeffress, who recently was posted to the U.S. Embassy in London, had long been the assumed choice for the national security job among Justice officials. That is until Carlin, a career prosecutor who helped coordinate the department's cyber security and intellectual property efforts, became the pick. Carlin got the nomination with the backing of former Federal Bureau of Investigation Director Robert Mueller as well as White House Counsel Kathryn Ruemmler and Lisa Monaco, who held the Justice national security job before moving to the White House in March to become the president's homeland security and counterterrorism adviser. It's standard practice for attorneys general to be consulted by the White House on nominees in the department. But it's not unusual for Holder, or any attorney general, to have their preferences overruled; after all these are presidential appointments, current and former officials say. Holder's first deputy attorney general, David Ogden, wasn't Holder's pick (he didn't object) and departed after less than a year following clashes over style. Holder was consulted but didn't pick most other officials in the presidentially-nominated senior posts inside the department. A former Justice official familiar with the matter notes that while Holder preferred Jeffress, once White House officials chose Carlin, Holder didn't try to appeal to the president, as he has done on matters he wants to fight for. Holder and Carlin have a good working relationship, Justice officials say. Carlin's path to the job is similar to that of Monaco and others who have held it. Both Monaco and Carlin worked at the FBI as chief of staff to Mueller. Kenneth Wainstein, who held the post in the Bush administration, similarly worked as chief of staff and general counsel to Mueller. Carlin was Monaco's deputy at the Justice national security division until her departure for the White House. Still, criticism of the nomination has simmered for months among some current and former Justice officials who preferred Jeffress or who wanted to be considered for the job themselves. The criticism has extended to how much contact Carlin has with White House officials, including Monaco. The national security division job is unlike others at Justice. National security prosecutors often work on intelligence matters that don't become prosecutions. They help conduct legal oversight of the National Security Agency's programs and work with the Central Intelligence Agency, the Defense Department and the White House's counterterrorism officials on operations that sometimes never become public. 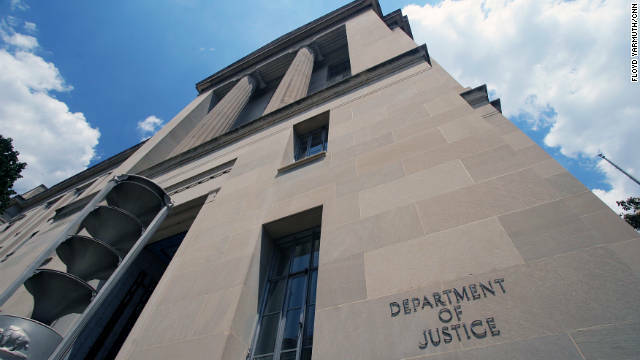 A senior administration official said that because of those operations, Carlin, like others who have held the job, have daily communication with White House officials, and are purposely not included in the Justice Department policy that seeks to prevent improper political influence on criminal or other legal matters. The national security division was carved out from the department's criminal division in 2006, in part because of those issues. Caitlin Hayden, National Security Council spokeswoman, said Monaco's job as counterterrorism adviser to the president requires her to work with Justice and the FBI to ensure cooperation with intelligence and other agencies. In recent weeks, with many nominations delayed, administration officials have sought and received letters of support for Carlin and from some former national security officials who worked in the Bush and Obama administrations. They include Michael Morell, former CIA deputy director, and Timothy Murphy, former deputy FBI director. The new late prophet (-N-S-A-) wrote: "There is no real Justice in National Security.". It's called networking. Those hitching their cart to a rising star will often enjoy the ride as well. DENUNCIAMOS CUALQUIERAS HIJAS DE OBAMA VENDIENDO CUERPO PARA GANAR DINERO. VENDIENDO CUERPO PARA GANAR DINERO. HIJAS DE OBAMA VENDIENDO CUERPO PARA GANAR DINERO. METODO DE COMPROBACIÓN DE VIOLACIONES DE MUEJERES VENEZOLANAS CASO FABIOLA LEON, MANIPULACIONES MENTALES PARA QUE TENGA $EXO CON HOMBRES QUE TIENEN ENFERMEDADES. POLITICOS DE MEXICO, EU, CANADA, ESPAÑA, EL VATICANO, EUROPOL, INTERPOL Y EL FBI COMPLICES DE NARCOTRAFICO. QUE OPINA SRA OBAMA VA A DEJAR DE PÀGAR PARA VIOLAR. fwiw i voted for obama. Really you think that nominations of people who have already been career government officials can be used for the other side? Frankly, you're a moron. The Pres isn't nominating Joe Blow off the street that could be aiding the enemy, hes nominating from a pool of candidates that have already held high level positions in goverrnment. He picks one overl another, so what? How will the choices help "the other side". Any differences between these candidates ideologies will likely reflect differences between average Americans. Keep playing your video games leave serious discussions to grown ups.